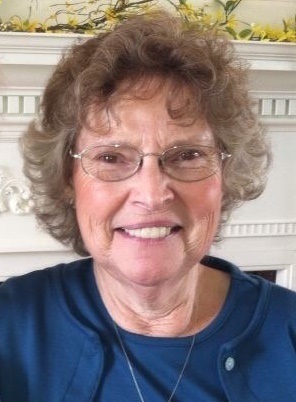 Obituary for Linda (Kacyon) Bower | James L. Hinckley Jr. Funeral Home and Cremation Services Inc.
Linda Kacyon Bower, 72, of rural Berwick passed away on Monday, April 8, 2019, in Berwick Retirement Village II following a brief illness. Born Oct. 15, 1946, in Berwick, she was the youngest child of the late Andrew and Gertrude (Belles) Kacyon. She married Tom L. Bower on March 20, 1965, and together they operated a paving and excavating business, as well as Betty & Linda’s Blueberry Muffins. A woman of exceptional faith and devotion, she was a member of Summerhill Evangelical United Methodist Church. Linda loved to sing and was well known for her excellent baking, which she enjoyed sharing with family and friends. In addition to her husband, she is survived by daughter Kimberly Bower-Spence and husband Daniel, rural Berwick; daughter Susan Lynn and husband Tyrone, rural Berwick; grandchildren Rachel Lynn, Laura Spence, Andrea Lynn Brady and husband Matt, and Ethan Spence; brothers Henderson Kacyon of Berwick, Larry Kacyon of Towanda, and Andrew Kacyon of Painted Post, N.Y.; sisters Fay McCloskey of Rochester, N.Y., and Marion Redline of Mifflinville, Pa.; and numerous cousins, nieces and nephews. She was predeceased by a brother, Raymond Kacyon Sr.
Service will be Friday at 11:00 am at Summerhill Evangelical United Methodist Church 157 Twin Church Rd. Berwick, Pa 18603 with her Pastor Deb Harvey officiating. Burial will be at Garrison Cemetery. The family will receive friends Thursday from 6:00 pm until 8:00 pm at the James L. Hinckley Jr. Funeral Home & Cremation Services, Inc. 1024 North Market St. Berwick and Friday at the Church from 10:00 am until the time of service. Family and friends may send condolences at www.jameslhinckleyjffuneralhome.com. Memorial contributions may be made to St. Jude Children’s Research Hospital, 501 St. Jude Place, Memphis, TN 38105, or Summerhill Evangelical United Methodist Church, 157 Twin Church Road, Berwick, PA 18603.